Literally there is nothing in life that makes me happier than cute workout gear especially when it's on sale! 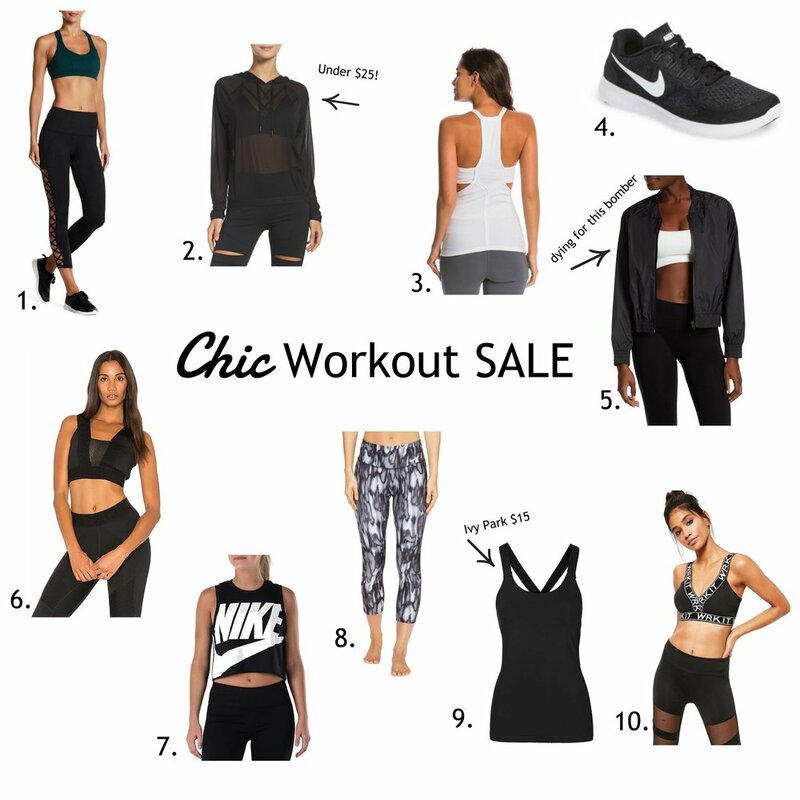 I am so pumped to bring you this chic sale guide to make all your fitness dreams come true. Yes, I said fitness, even if you're just thinking about running, you will still look cute wearing this stuff! I am in workout clothes 6 days a week because I teach and take Stroller Strides, see more here, so I need good quality, but that also doesn't break the bank. I enjoy my stay at home mom life I am not trying to give my husband a heart attack when he looks at our bank account. This is why finding a good sale is priceless, are you hearing this *reading this, hunny? I am so excited that some of Queen B, as in Beyonce's workout line Ivy Park is having some major sale action right now as well!! As we head into the holiday season and stuff our cute little faces we need workout clothes, it's just science...well not really, but it's so crucial to start getting those New Years resolutions crackin now! What better way to motivate yourself than in a new sports bra. On. Sale. YAY! I think the best part about workout gear these days is that it’s versatile. You can go from your workout to the store then to meet a girlfriend for coffee, and not have to change! With that said I’m off to put Jack down for his nap and hopefully film some quick workout videos for you to do at home!! You can shop this amazing sale below! Cheers Mama!